We are excited to announce that JF&CS Schechter Holocaust Services will host its first Passover Seder on the North Shore for our Café Hakalah participants this April. Café Hakalah is a monthly gathering for Holocaust survivors that typically includes music, food, and discussion. The idea to host a Café Hakalah Seder originated last December, when we had such a phenomenal turnout at our Café Hakalah Chanukkah Celebration. Inspired by the enthusiasm for the event, Inna Lyubimova, the North Shore Café Hakalah Coordinator, started talking with volunteers about planning a Passover event for the spring. The Café Hakalah Seder will be held at the JCC of the North Shore on Wednesday, April 10, 2019 from 1:30 - 2:30 p.m. The JCC is located at 4 Community Road, Marblehead, MA. 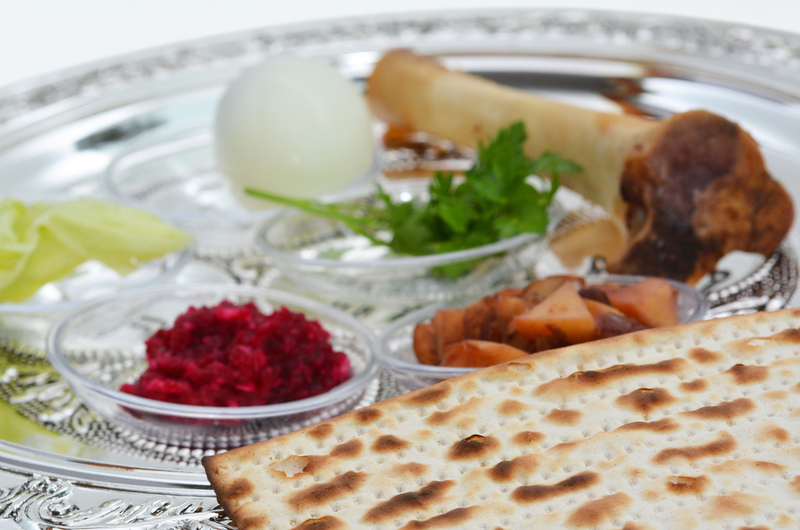 Since Passover does not officially begin until the following week, we will be hosting a “mock Seder” with a light lunch. Rabbi David Cohen-Henriquez of Temple Sinai in Marblehead will lead the Seder. Originally from Panama, Rabbi David brings a multicultural and multi-denominational approach to Judaism. Guests at the Seder will read from special Haggadot that are written in English, Hebrew, and Russian. These trilingual Haggadot were compiled especially for JF&CS for our Friendly Visitor Program, which hosts its own Passover Seder. If you are interested in volunteering at the Café Hakalah Seder (or future Café Hakalah events), please fill out our Volunteer Registration Form. Survivors who would like to attend the Seder should call Inna Lyubimova at 781-693-5680 to RSVP. Please let Inna know if you will need transportation to the event.